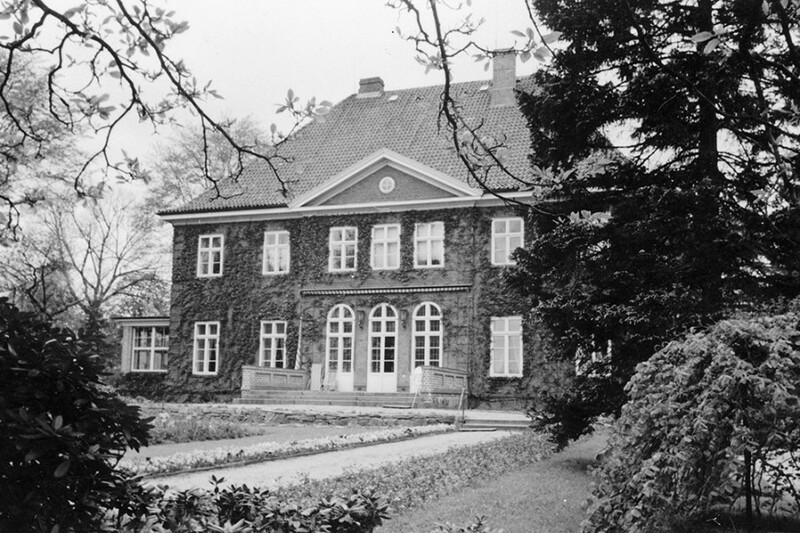 The history of the estate and of the mansion date back to the year 1859 in which Wilhelm Ahlmann bought the estate. Here we present you a timeline with information on the most important dates and occurrences. Please follow the arrows on the pictures. The historical pictures are courtesy of Prof. Dr. Thomas Pfeiffer. 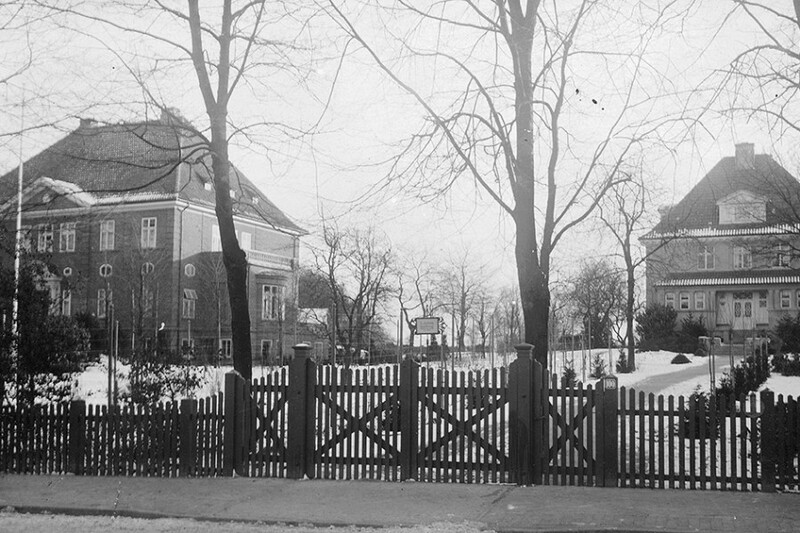 In the year 1859 (Kiel had about 20.000 inhabitants), the Kiel based banker Dr. Wilhelm Ahlmann bought parts of the meadow overlooking the Kiel Fjord and built a retirement residence. 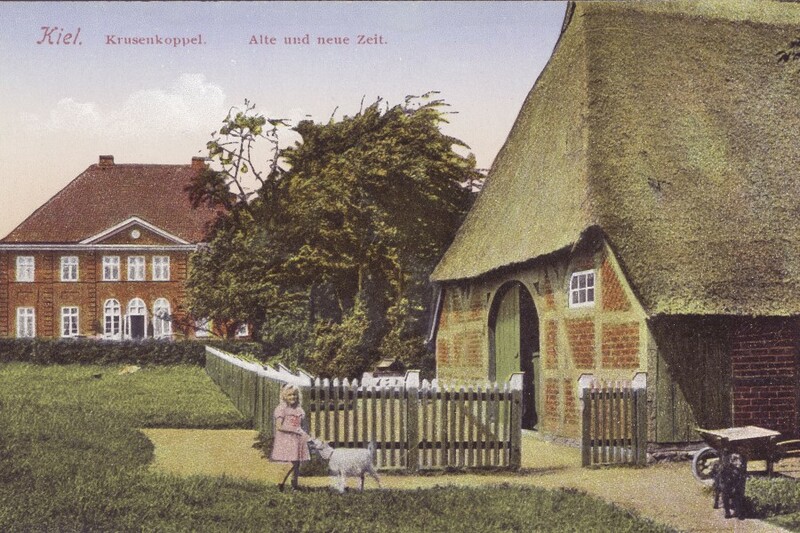 Shortly after his death, by which Kiel already had about 240.000 inhabitants, his son, Dr. Ludwig Ahlmann, had the main house of today’s hotel erected. He commissioned the renowned master church builder Voigt, who designed a neo-baroque mansion. Find out more about Dr. Wilhelm Ahlmann (in German). 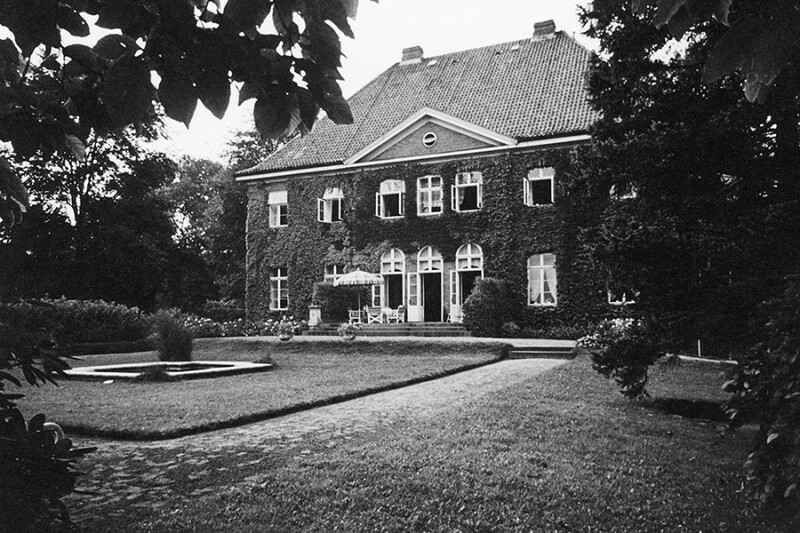 In the mid 1930ies the Ahlmann family found it increasingly difficult to maintain such a big mansion. So, in 1937, they sold the villa to the Navy. They remodelled parts of the building und used it as the representative domicile of the admiral of the Baltic Sea. During the Second World War bombings the house was severely damaged. After the end of the Second World War the recently founded business club “Der Kieler Kaufmann e.V.” (“The Kiel Merchant”) was able lease and then buy the property and the damaged house. It had the villa rebuilt to use it as clubhouse and hotel with 20 rooms. On the occasion of the sailing competitions of the 1972 Olympic Games, an addition to the villa was built – the park wing with an additional 30 rooms, a pool and a sauna. 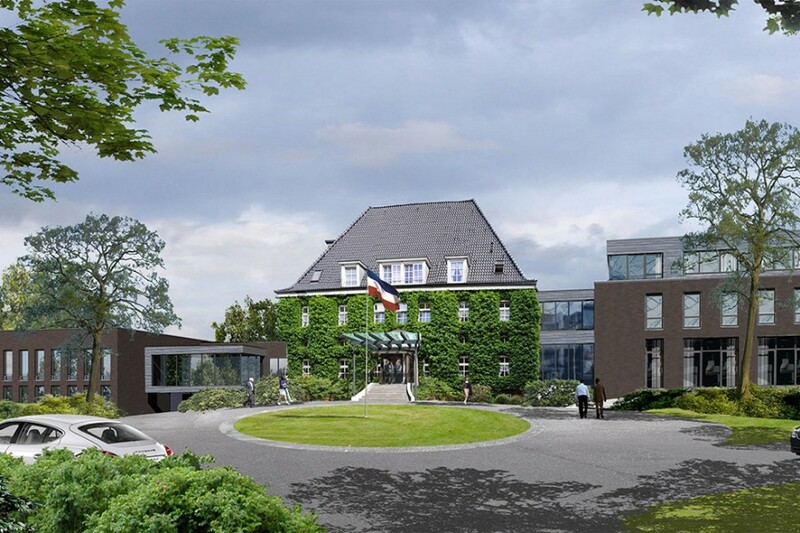 Thus, the “Parkhotel Kieler Kaufmann” was created. In the year 2000, Carl-Heinz and Marlies Lessau became the new leaseholders of the hotel. 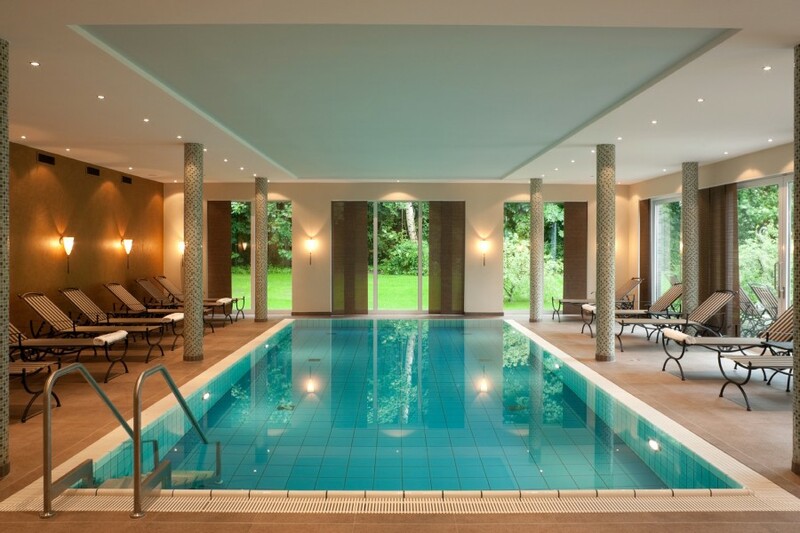 Together with the owner of the house, the business club “Der Kieler Kaufmann e.V.,” a comprehensive remodelling concept was envisioned, that was implemented from 2000 on. The villa was elaborately restored. Walls were moved to make space for more generous rooms. In 2008 the renewals of the rooms in the park wing were finished. The design picks up the classical interior of the villa and combines it with a clear set of modern elements. After a building period of nine months, the Sanctum was opened. Harmonically integrated into the park, the Sanctum is a small but exquisite spa area with a pool, a sauna, a steam bath, and an exercise room. After years of planning and fine adjustments with the proprietor and developer “Der Kieler Kaufmann e.V.,” a big extension building was started in 2014. 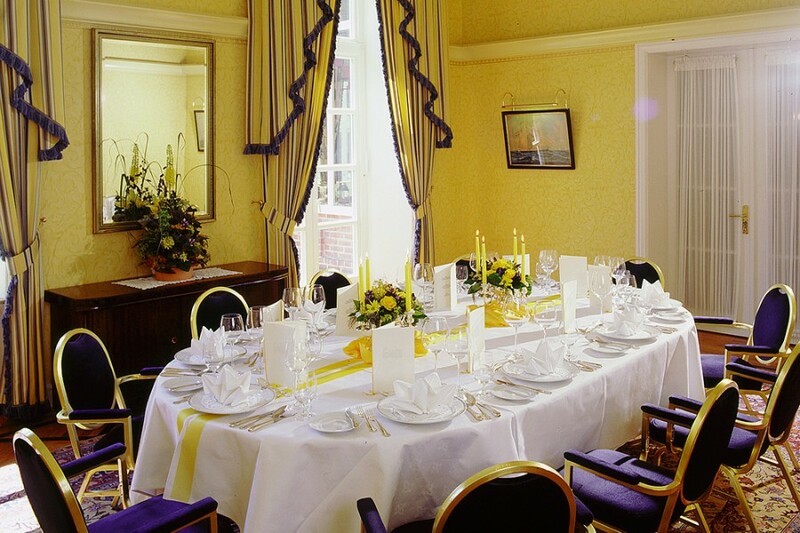 It holds a spacious meeting and event area, 21 rooms, as well as a new restaurant bathed in light. Also, the villa, the restaurant, and the winter garden were completely redesigned. Behind the scenes, many things changed, too. So far, the basement floor had been jam-packed with the main kitchen, storage and laundry rooms, and rooms for staff. Thus, we are more than happy with a new grand kitchen and large-scale modification of the existing rooms.